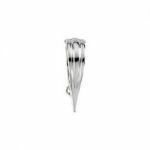 Available in 14k yellow or 14k white gold hinged enhancer bail that can be attached to an Omega or any large round chain which a pendant can easily be suspended from a ring. Available in 14k yellow or white gold hinged enhancer bail that can be attached to a pearl, beaded strand or large round chain which a pendant can easily be suspended. Available in 14k yellow or 14k white gold with hinged bail that can be attached to a pearl, beaded strand or large round chain which a pendant can easily be suspended. 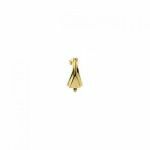 14k yellow hinged bail that can be attached to a pearl, beaded strand or large round chain which a pendant can easily be suspended. 14k two tone yellow & white gold hinged pendant bail that can be attached to a pearl, beaded strand or large round chain which a pendant can easily be suspended from a ring. 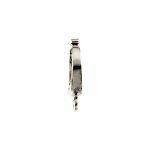 Available in 14k yellow or white gold hinged pendant bail that can be attached to a pearl, beaded strand or large round chain which a pendant can easily be suspended from a ring. A 14k yellow or white gold hinged enhancer bail that can be attached to a pearl, beaded strand or large round chain which a pendant can easily be suspended from a ring. Available in 14k yellow or white gold hinged enhancer bail that can be attached to a pearl, beaded strand or large round chain which a pendant can easily be suspended from a ring. 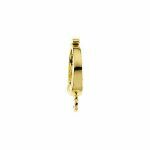 10k yellow gold hinged enhancer bail that can be attached to a pearl, beaded strand or large round chain which a pendant can easily be suspended from a ring. Special order in 10k yellow gold only. 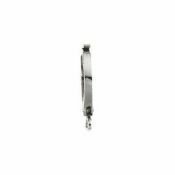 Sterling silver hinged enhancer bail that can be attached to a pearl, beaded strand or large round chain which a pendant can easily be suspended from a ring. Available in sterling silver, 14k yellow or 14k white gold with hinged bail that can be attached to a chain up to 2.5mm in diameter which a pendant can easily be suspended.